Thomas Garraway’s coffee house in Exchange Alley at Cornhill. It was one of the first to sell tea in London and continued in business for over two hundred years before closing in the 19th century. In the latter 17th century and throughout the 18th century a major impact on London life was made by the introduction of coffee houses, which became numerous throughout the city. The forerunner of the modern café, they were used in a similar way to pubs of the 20th century, with many having a particular type of male customer who could socialise or do business with similar-minded men. The best-remembered example is that owned by Edward Lloyd in the 1680s where he successfully built up a clientele consisting of shipping merchants from which developed the Lloyd’s of London insurance market. Writers, artists, politicians and businessmen all frequented their own special hostelries. Coffee originated in Ethiopia in northern Africa and later spread throughout the Muslim world. 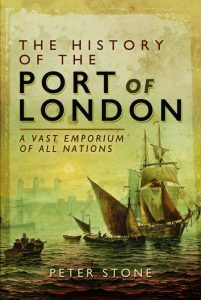 It reached Europe via Italy from where Venetian merchants traded with North African ports. Arriving in England in the latter 16th century the name was anglicised from the Italian caffé. From the 17th century coffee was being grown in the North American colonies, allowing it to be more easily available in England. Sometimes referred to as ‘politician’s porridge’ it was taken sweetened with sugar but never with milk. The first coffee house in England was established by a Turkish Jew at Oxford in 1650. Two years later another opened at St.Michael’s Alley off Cornhill, with the coffee probably imported by Daniel Edwards, who traded in Turkish goods, and the establishment managed by his servant Pasqua Rosée. Five years later coffee houses must have still been relatively unknown and not universally appreciated because James Farr, proprietor of the Rainbow coffee-house at Inner Temple Gate was prosecuted for making “evil smells” caused by “a sort of liquor called coffee”. However they soon caught on as an alternative to inns and by 1663 there were over eighty in London. By 1675 there were three thousand coffee houses in England with many of them located in London. Around St.James’s they were frequented by those involved in politics and the royal court and political parties would each meet at rival establishments. Man’s Coffee House at Charing Cross was frequented by stockjobbers; White’s at St.James’s by politicians; Button’s in Bow Street by writers; the Grecian at the Temple and Nando’s at the Rainbow Tavern at Inner Temple Lane by lawyers; Old Slaughter’s in St.Martin’s Lane by artists; Child’s in St.Paul’s Churchyard by clergymen; and the Little Devil in Goodman’s Fields by military men. The Amsterdam Coffee House behind the Royal Exchange, where the Hudson Bay Company hired seamen, was founded in 1675. The scientist and surveyor Robert Hooke and his associates met at Garraway’s, Jonathan’s or Man’s. William Urwin opened his new coffee house at No.1 Bow Street, on the corner of Russell Street, in 1671 and Will’s Coffee House established itself as one of the best-known in London of the period, becoming a favourite of John Dryden, the well-known playwright and poet. After leaving Will’s one night in 1679 he was attacked by the Lamb and Flag tavern in Rose Street, possibly by thugs hired either by the Earl of Rochester or the Duchess of Portsmouth, although it was never proved. A plaque today commemorates the location of the event. Garraway’s was destroyed in the Great Fire but reopened in Exchange Alley in 1669. It was one of the best-known places for merchants to meet, particularly those trading in furs. As well as coffee Thomas Garraway had a good reputation for his ale and sherry and was amongst the first to serve tea. People who had migrated to London from elsewhere could meet with others from their homeland at particular coffee houses. Scotsmen, for example, frequented Giles’s Coffee House. Establishments ranged from those with the atmosphere of a private club to others where men argued and chewed tobacco. A small number acted as brothels. Customers often played card games. As with taverns, before the introduction of the postal service coffee houses also acted as post offices for sending or receiving letters. Women though were generally barred from them. With so many men meeting and discussing the affairs of the day Lord Danby, the King’s chief minister from 1674, was wary of coffee houses considering them a hotbed of political intrigue where opponents of Charles II distributed their inflammatory pamphlets. In 1675 he issued a proclamation ordering their closure but the plan had to be abandoned because it caused so much resentment; and besides there was by then such a large stock of tea and coffee in London that the banning would have caused commercial problems for many of their proprietors.